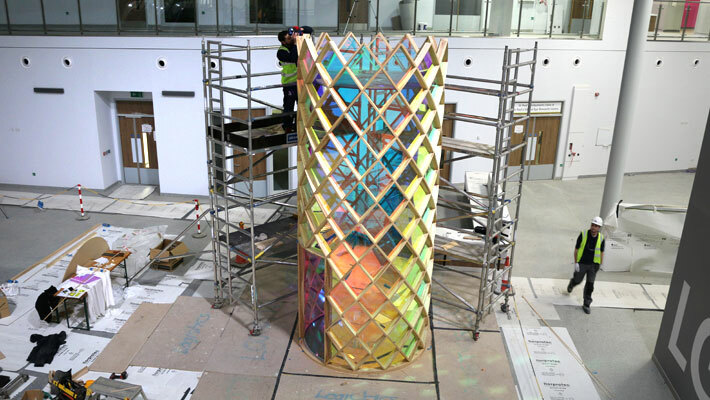 Tribute is an artwork due to be unveiled in the main reception area of the new Royal Liverpool University Hospital (RLBUHT). The artwork celebrates, remembers and give thanks to the generosity of organ and tissue donors and their families. 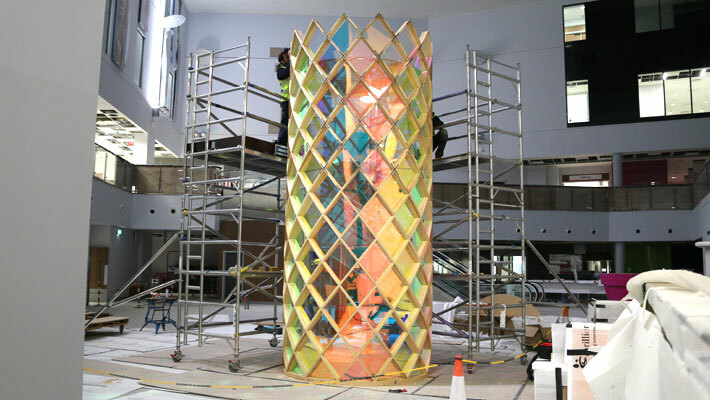 The artwork was commissioned by the Royal Liverpool and Broadgreen University Hospitals’ Organ Donation Committee and Royal Liverpool Dialysis Utilities Fund. Through its round tower-like form, Tribute will act as a strong internal landmark within the building. A doorway in its side invites visitors to enter. 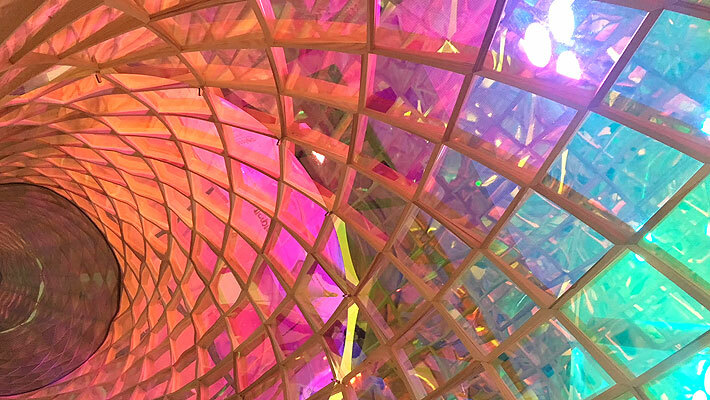 Beautiful patterns of coloured light emanating from the semitransparent structure can be viewed and enjoyed from all angles, creating an inspiring and intriguing space for contemplation. 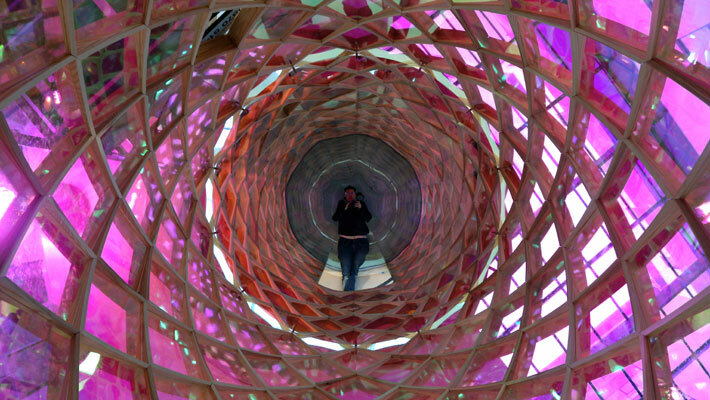 The experience alters with the changing daylight which streams into the atrium from above. Upon entering the artwork, visitors can stand or sit on the in-built seating. 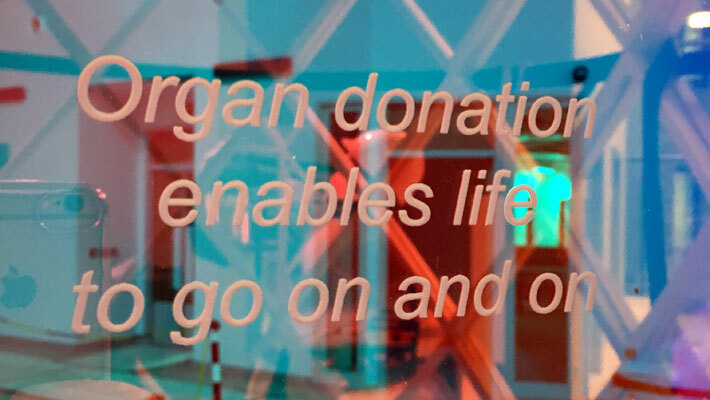 They will notice that many of the translucent coloured panels have printed text on them, which are extracts from personal responses and stories collected from patients and staff of the hospital, illustrating the impact which organ and tissue donation has had on their lives. Including contributions from dialysis patients, each story will express the positive impact the hospitals’ services have had. Looking up at the mirrored ceiling or down onto the reflective floor of the artwork, the space within the structure will appear infinite. 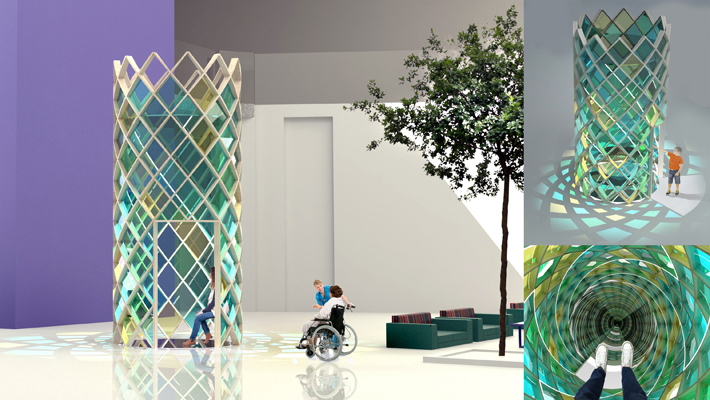 This beautiful optical property expresses the concept that the effect of donation goes on and on and that there are thousands of people around the globe, each with their personal stories to tell, who have benefited from the work of the RLBUHT. 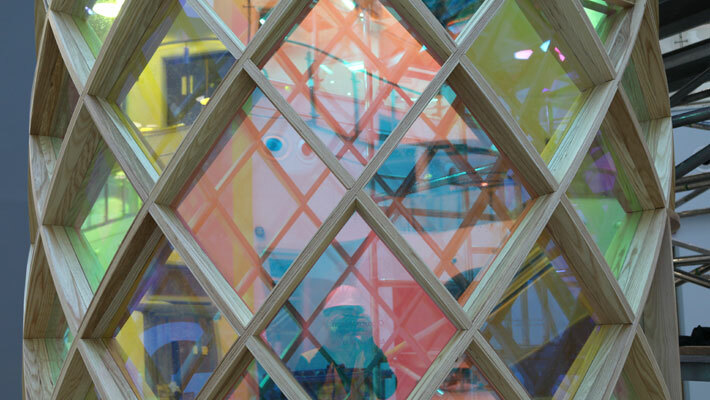 The artwork is designed to be experienced and appreciated by everyone visiting the hospital. 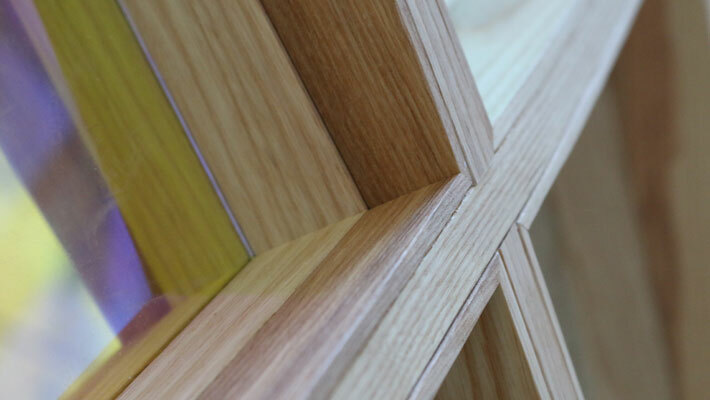 Some may simply enjoy it visually by looking at the geometry, colours and reflections, whilst others will stop to consider the artwork in more depth, sit a while, read the stories and appreciate its greater meaning. 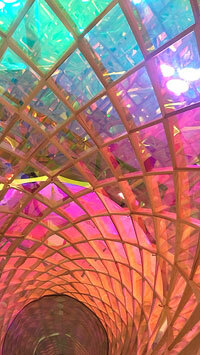 Subtly referencing stained glass windows, the artwork provides an intimate space for contemplation and reflection. Which way the artwork is read will depend in part on what the visitor brings to the piece. Through its visual, written and conceptual content, the artwork celebrates, remembers and give thanks to the generosity of organ and tissue donors and their families. The artwork was fabricated with the fine craftmanship of John Hall, Richard Stump, 4th Dimension, Vicki Leach and Kings Plastics.